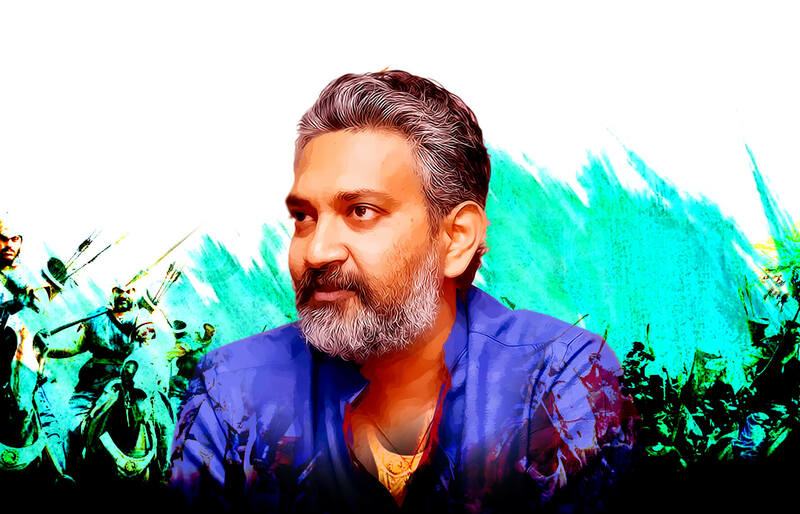 The elections that took place in Andra Pradesh yesterday saw many Tollywood celebrities come out to vote and inspire the citizens to participate in the polling process. Many leading stars and film-makers were spotted stepping out, along with their families, to cast their votes. Actors Akkineni Naga Chaitanya and Samantha Akkineni reached Nanakramguda, Gachibowli to vote while other prominent names include actors Sudheer Babu, Manchu Vishnu, Amala Akkineni, Nandamuri Balakrishna and composer MM Keeravani. 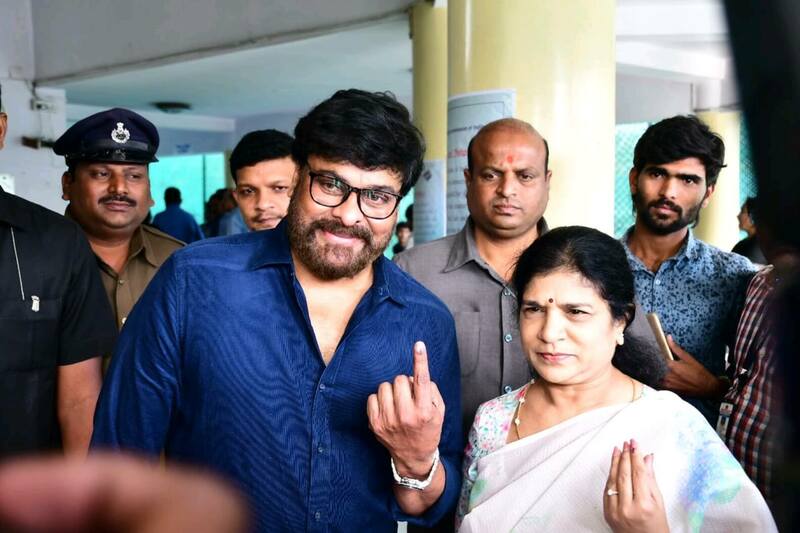 Actor Chiranjeevi was accompanied by his wife, son and actor Ram Charan and his wife Upasana Konidela while Jr. NTR brought his mother Shalini Nandamuri and wife Pranathi and stood in a queue to vote. 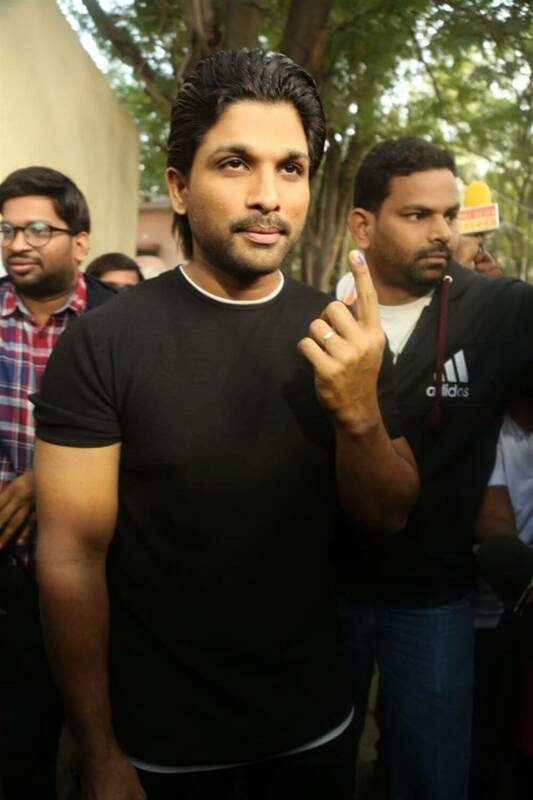 Allu Arjun too came out to do his bit as a responsible citizen. Actor Pavan Kalyan, who is also the chief of Janasena party, made sure to give his vote in Vijaywada. These actors are like the idols and representatives of the society where their fans look up to them. Thus, showing their sincerity and duty as a citizen on their country, these superstars really did prove their worth and positions.